XMLHttpRequest contains a small QML example demonstrating Qt QML's XMLHTTPRequest functionality. For more information, visit the section about XMLHttpRequest. Get data uses the XMLHttpRequest API to fetch an XML document from a server. 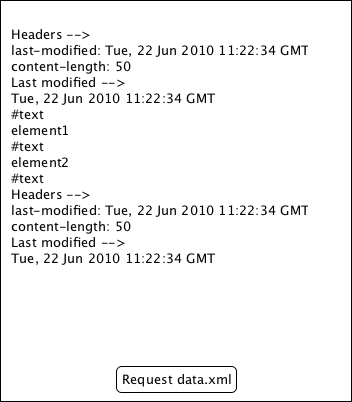 It displays the header of the HTTP response and the body of the XML document.